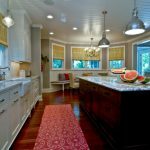 Do you like to spend most of your time in the kicthen? 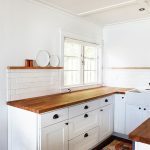 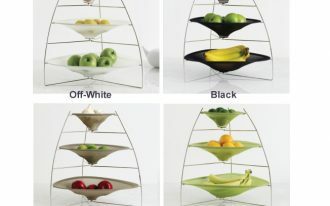 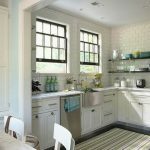 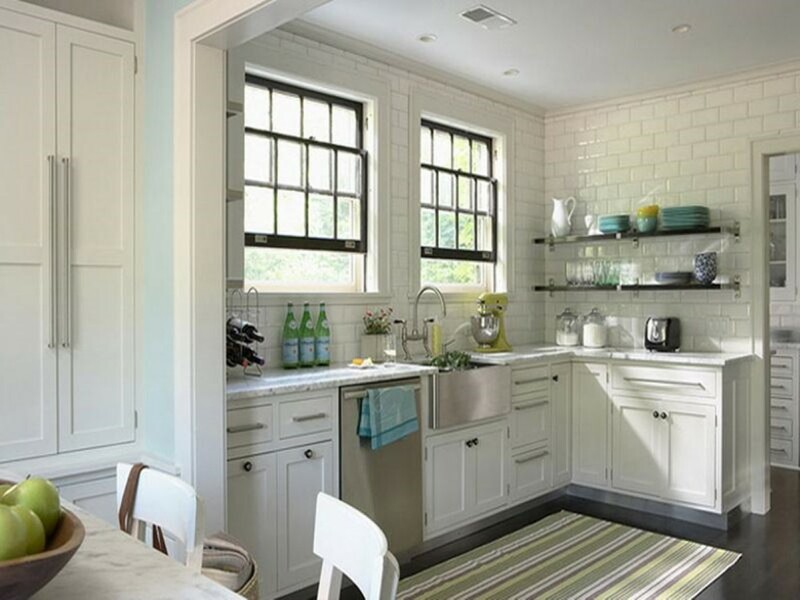 I believe that there are so many people falling in love with the nuance of vintage kitchen with bar inside. 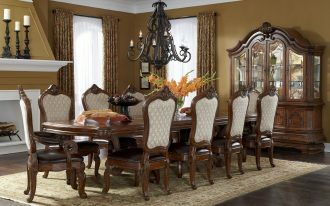 It becomes the second amazing pub in the house after the living room. 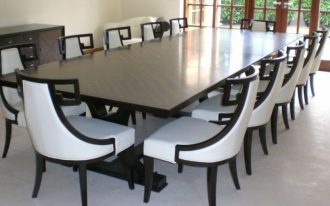 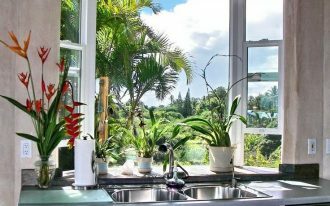 you can enjoy both cooking and sitting around with some family members inside, and of course you can intensively improve your cooking skill. 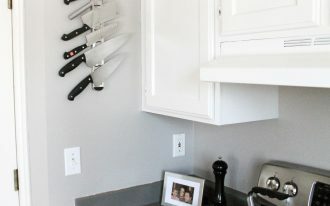 Different menu everyday makes your frequency visiting the kitchen increased, so you need to put a little lovely accent to spell the boredom. 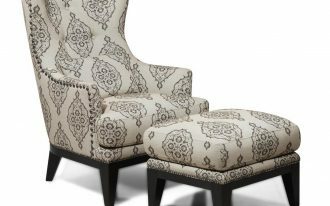 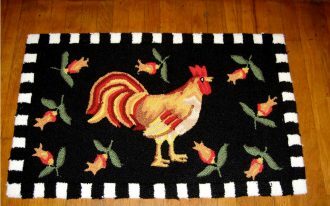 Some vintage and stylish kithen mat and rug designs are ready to pamper you! 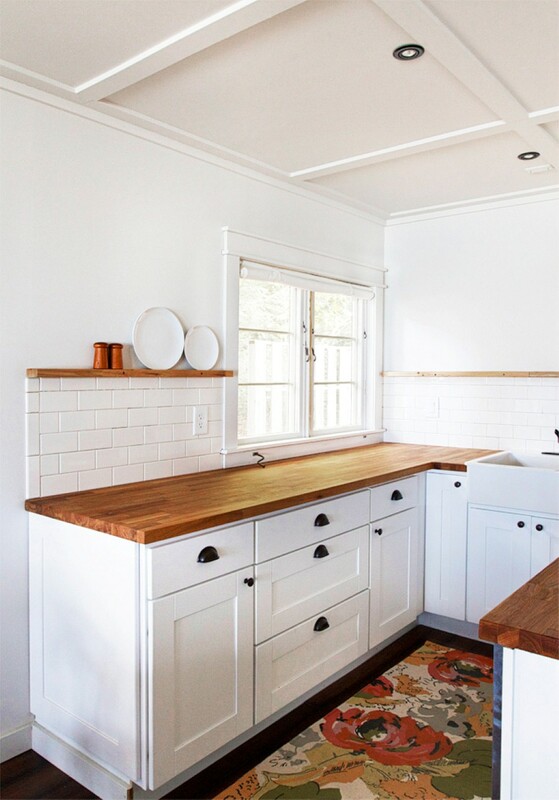 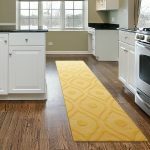 If you have long galley white kicthen design, it is very great for you to save the outlook with adorable yellowish kitchen rug! 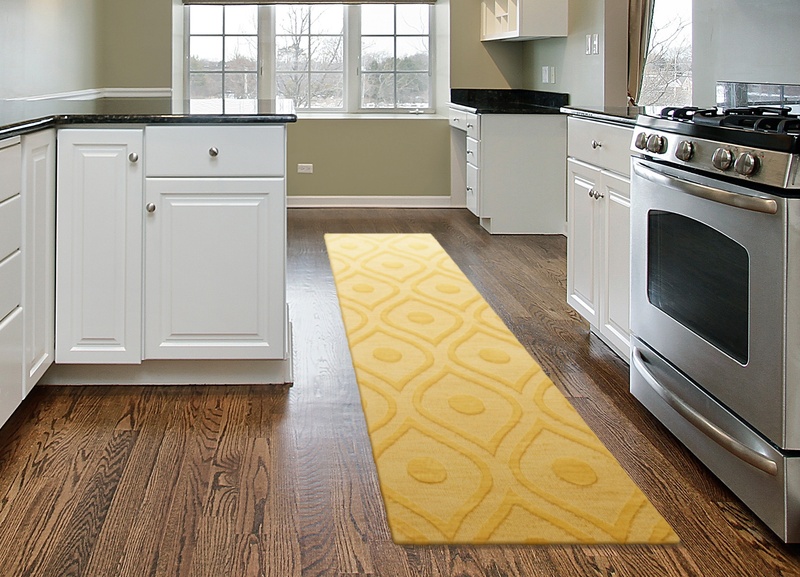 Yeah, yellow is just so matching with the brownish tone of the hard wood flooring applied in the vibe. 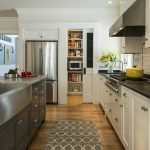 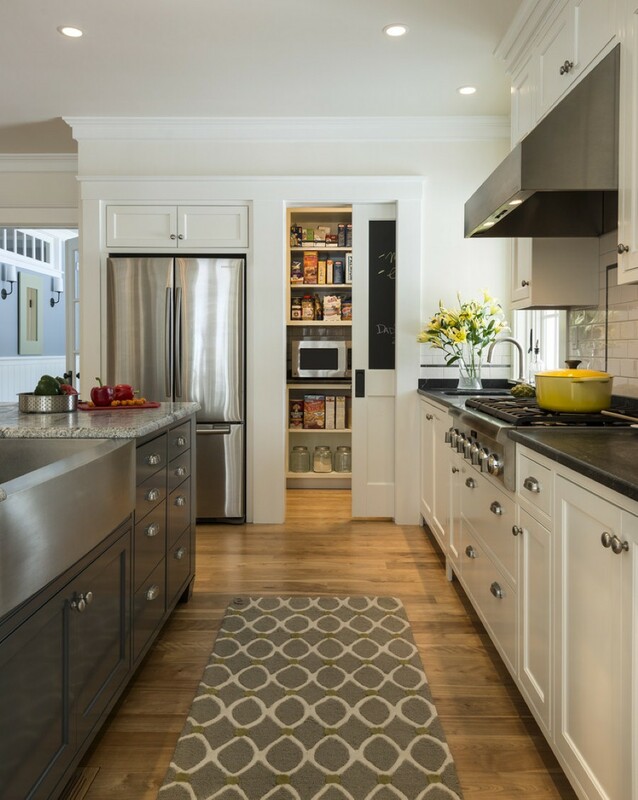 With its classic pattern applied on the surface shaping stunning texture, you can enjoy the most inviting look in the kitchen while cooking your favorite cuisine! 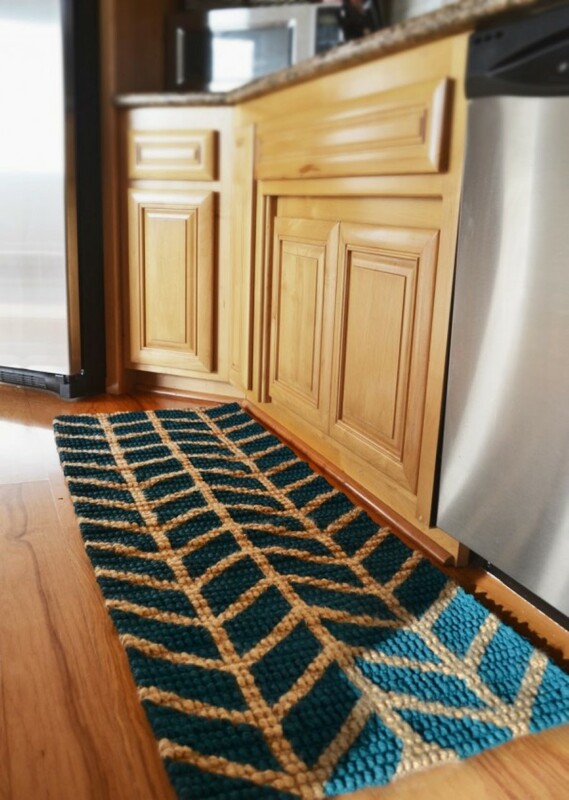 Further, to break the kitchen nuance, you have to be brave to own a turquoise kitchen mat with chevron pattern. 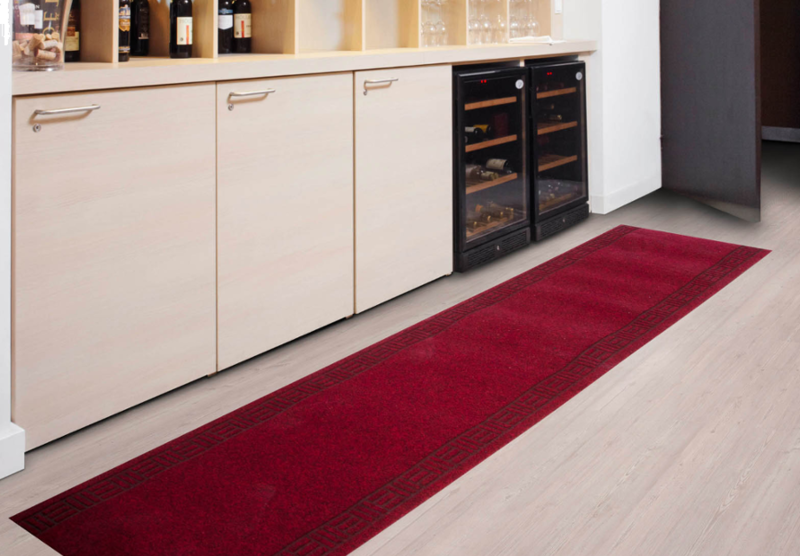 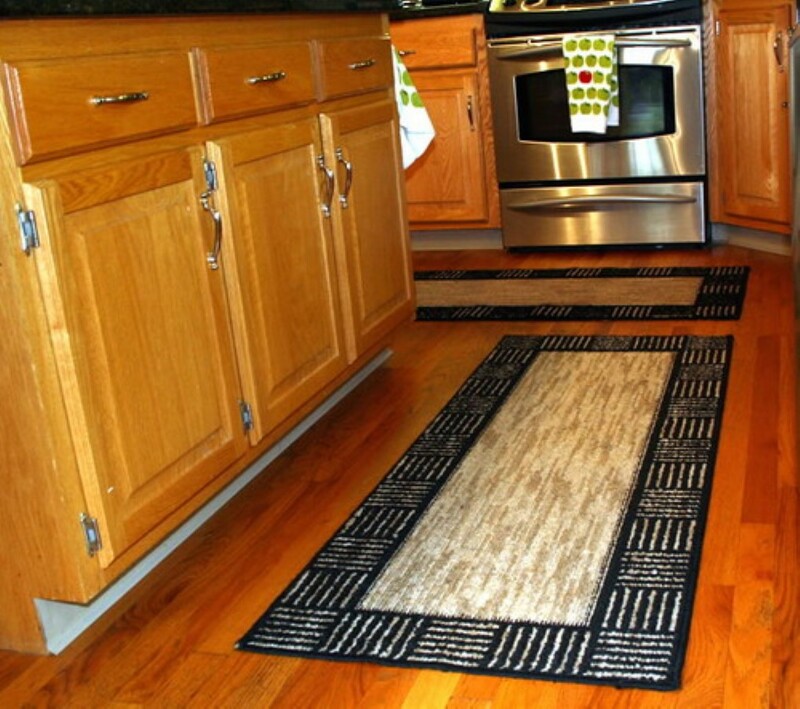 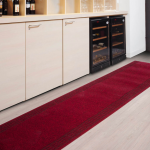 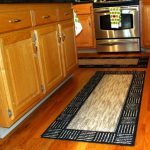 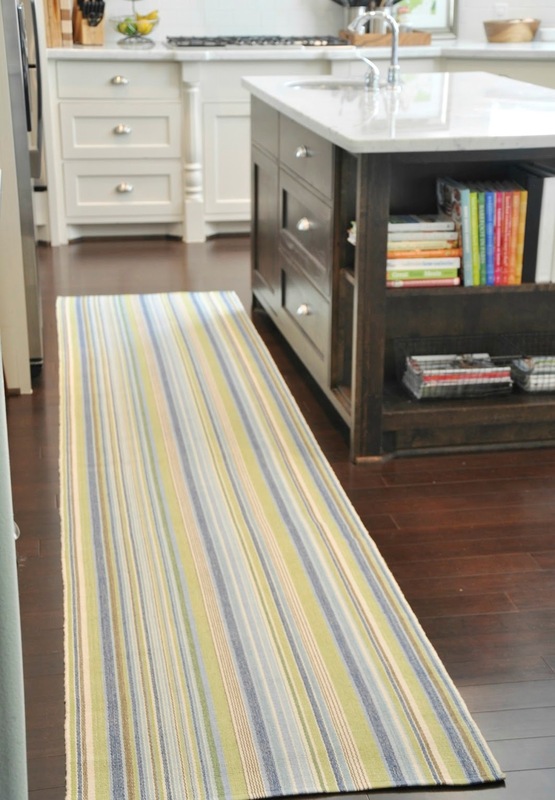 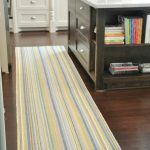 it is just lovely to set your feet above this stylish kitchen rug idea. 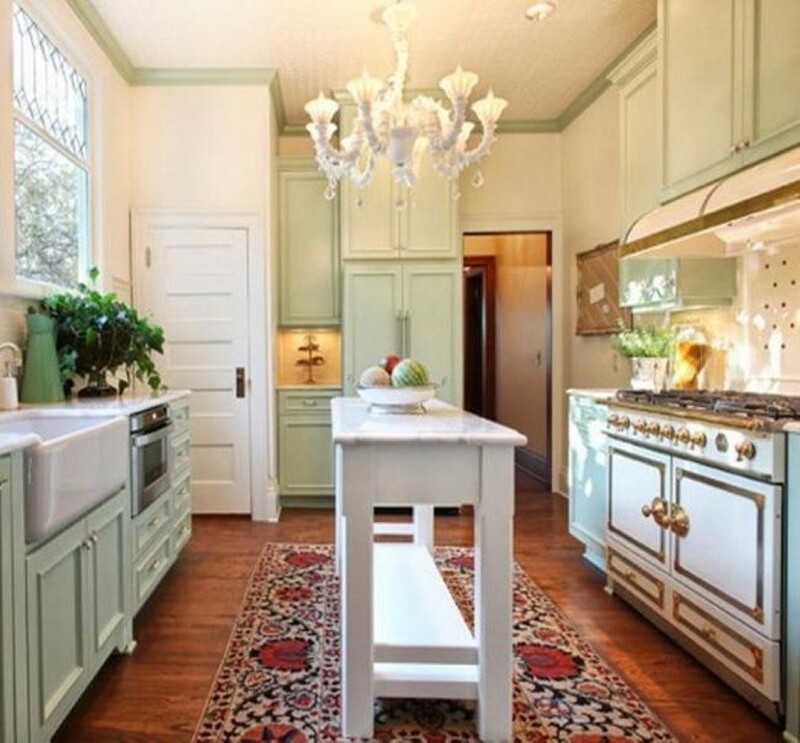 green is just too contrast with the beige flooring installed, but you cannot deny the amazing effect of it! 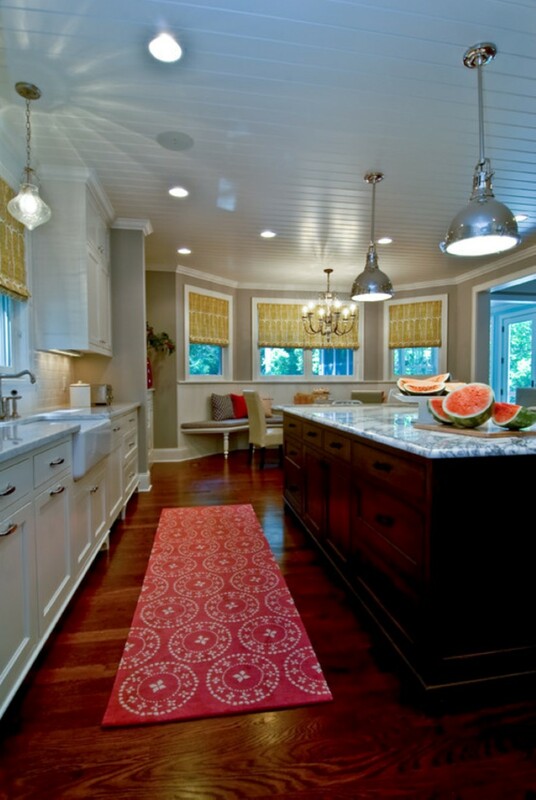 Dare you to have a deep red kitchen rug above the wooden floor? 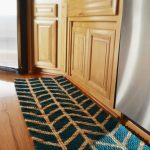 There is nothing will obstruct you to own this exclusive mat design that will upgrade the kitchen look to be more glamor!